The update today also adds the option to launch a Google+ Hangout On Air directly from the YouTube Live events manager. If you’ve got a decent YouTube following, this should give your Google+ page a boost, which is of course exactly what Google wants. YouTube Live was previously only available to a small number of individuals and YouTube partners whom Google deemed worthy to test it out. The video site then opened up the feature to channels with at least 1,000 subscribers, and then at least 100 subscribers. Now it’s available to all. Real-time transcoding in the cloud, so you only need to send YouTube your highest quality stream. The site makes it instantly available in all resolutions and device formats. 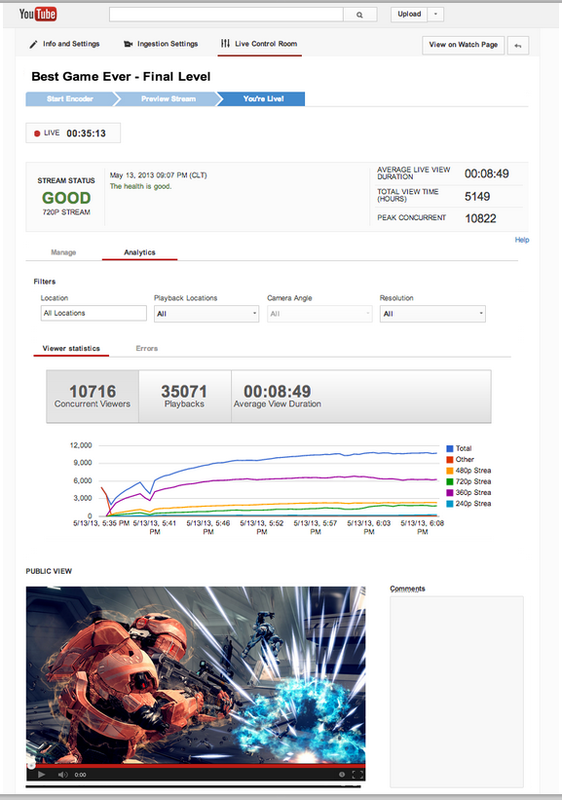 Show multiple camera angles, add closed captions, plus insert ads and slates. Viewers can watch the live stream from any device, get the best quality constantly adjusting to their Internet connection, and can skip back and forth in the live stream. Live streaming is seen as the next step in the video consumption world. On-demand content is here to stay of course (and many streamed videos will be recorded for later viewing), but it’s simply more exciting to watch something as it happens. The world’s biggest video platform is getting in on the game, letting users both announce live streams in advance as well as push live video feeds to the world on a whim. In 2014, YouTube will be a very different website.